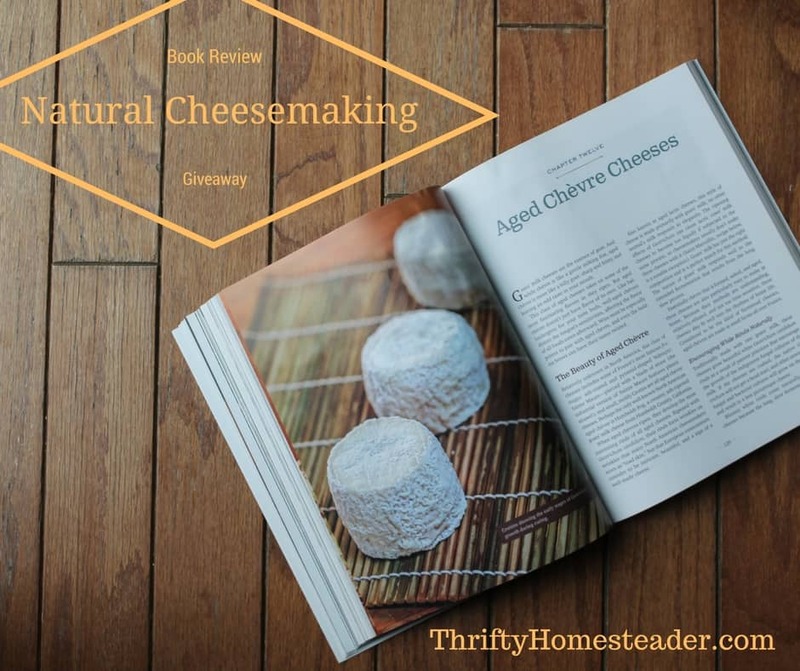 Have you been looking for a book on natural cheesemaking? Do you want to learn to make cheese without commercial starters, microbial rennet, or freeze-dried fungal spores? Ready to ditch the pH meter, plastic cheese form, and sanitizing solution? Want to say good bye to stainless steel vats and learn to make cheese like our ancestors? 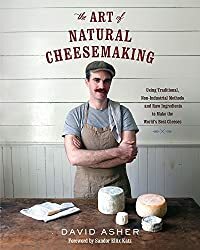 Then you need to check out The Art of Natural Cheesemaking: Using Traditional, Non-Industrial Methods and Raw Ingredients to Make the World’s Best Cheeses by David Asher. The author is an organic farmer who has eschewed all modern methods of food preservation, such as freezing and canning. Instead, he ferments everything naturally. He makes apple cider, blackberry wine, and beer without commercial yeast. He ferments sauerkraut in big crocks. He makes sourdough bread fermented with no added starter. And he makes cheese from his raw goats’ milk using ancient methods. He is the mastermind behind the Black Sheep School of Cheesemaking, which is aptly named because he is definitely the black sheep of cheesemaking. Because he uses natural cheesemaking methods, he is not allowed to sell his cheese. So, instead of selling his cheese, he sells his knowledge in classes and now in this wonderful book. This is the only book available that teaches natural cheesemaking. It would make the perfect gift for the cheesemaker in your life who wants to take their skills to a whole new level. It would also be perfect for someone who is completely new to cheeesemaking. David starts out explaining his cheesemaking philosophy then explaining everything you need to know about milk when making cheese. He has complete chapters devoted to rennet, salt, cheesemaking tools, and the cheese cave. Then he dives into actual cheeses starting with a chapter on kefir and moving on to yogurt cheeses, paneer, chévre, aged chévre, pasta filata cheeses, feta, white-rind cheese, blue cheese, washed rind cheeses, Alpine, Gouda, cheddar, whey cheeses, and cultured butter. In addition to recipes for every type of cheese you could wish to make, there are lots of color photographs. Appendices include a troubleshooting guide and a section on whey starters. An appendix with complete instructions to make traditional sourdough bread is a definite bonus. Speaking of bonuses — this book even includes instructions on how to make your own rennet from the stomach of a calf, kid, or lamb. If you don’t really want to take self-reliance to that level, however, he does include info on using commercial rennet. Another little gem for those of you who don’t necessarily want to make your own cheese is the info on kefir. Remember on Monday when I said that a bottle of olive oil doesn’t always have olive oil in it? Well, David says there is no legal definition of kefir. That means kefir in stores may be a less potent drink with fewer active cultures than the real thing. It is worth mentioning that the recipes and methods described in this book will only work with raw milk. So, you need access to raw milk, which is illegal in some states unless you own your own animals. David points out, however, that just because it is illegal in some places does not mean you can’t buy it. Many times when I teach a cheesemaking class, someone will ask how to make cheese without commercial starters. Unfortunately, before this book was published, there was not a credible source on how to do that. So, when I saw this book, I immediately asked the publisher to send me a review copy. No doubt it will be stained and tattered in no time! I’ve wanted this book forever- would love to win a copy! Oh it would be a dream to learn to do this! Would love to try more natural cheeses from our two dairy goats, no shortage of raw milk around here! Very interesting . I will have to try using some the information. This would be a fabulous book!!! I’ve tried a simple cheese just once….this book would be wonderful to learn so much more, with better results! Can’t wait until my goats start giving me milk! Excited for all the cheese and soap I’m going to make!! 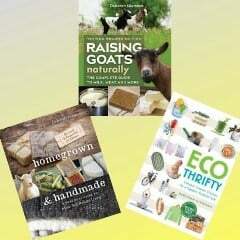 I raise dairy goats would love a copy 9f this book. Would love to add this book to my cheesemaking library! Love to have this book!!! What a great book. Love to have it. Goats about to freshen again. This book would be a great addition also. looks like a real interesting book! This is exactly what we’be been looking for! We have dairy goats and have been experimenting with making natural cheeses, with limited success. As mentioned, it is hard to find such info. This book would be so perfect for us. 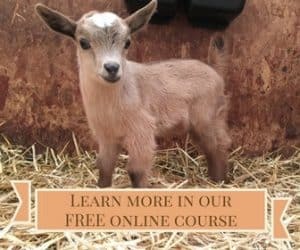 We have dairy goats and would like the book to help us learn how to use up the extra milk. I love cheese! I’ve made some very simple cheeses at home, but I’d love to expand my cheese-making repertoire! Have tried cheese kits before , but going natural is the way! So this is on my wish list now………if I do not win. Thanks for this post and for featuring this book….it looks fantastic! I make a lot of my own things in an attempt to eliminate chemicals and preservatives from my diet. This book would be wonderful! I would love to make my own cheeses. I have been looking for what seems like forever for this book! Who knew it just hadn’t been published yet. Ooooh, i’d love to have this book! I love making cheese and have struggled with the fact I have to mail order cultures, rennet, etc . To make it naturally would be so much better. Thank you for sharing this! I’m a huge cheese fan and I’d love to learn how to make my own! We are just starting out in the adventure of goats and this book would be a great addition to our tiny library of farm books. Sounds like a great adventure and much needed knowledge! I have read about this book before . Was about to see if my little rural library could get it. Very interesting topic. I like the idea using wild cultures. Thank you for the chance at this giveaway. This is just the book I’ve been looking for! I have a small herd of dairy goats, love the raw milk, cheese and of course their great company. I strive to the philosophy for the old ways, yet have had a hard time finding good info!